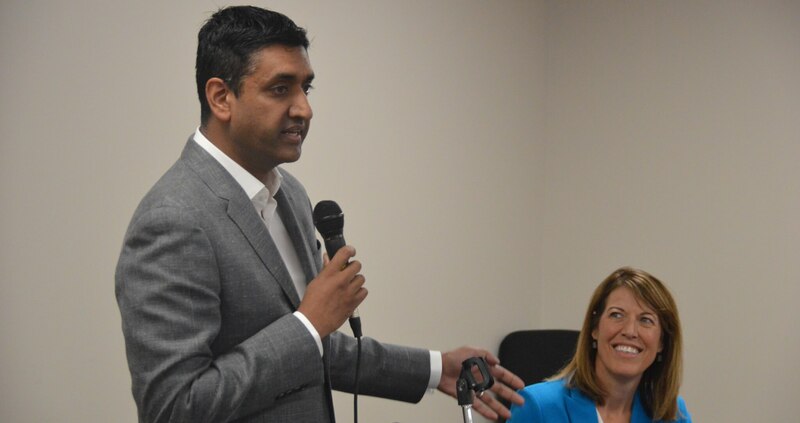 Congressman Ro Khanna stumped for local Democrats in Iowa this weekend while pitching his unique brand of progressive vision mixed with Silicon Valley innovation. It’s his second trip out to the state after visiting for a Pete D’Alessandro congressional event back in May during the primary. Khanna drew a large crowd of over 100 people to the Asian & Latino Coalition’s Saturday afternoon reception for him and congressional candidate Cindy Axne. Khanna, the first-term congressman who represents the Silicon Valley area around San Francisco, has emerged as a leading voice on the party’s left in recent years. 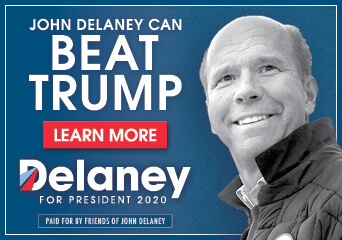 He’s gotten involved in several primaries around the country to back progressive Democrats, leads efforts on anti-trust and job guarantee laws in Congress and has seen his fair share of national profiles written on him lately. Chatter is building on the left of whether he should run for president in 2020, but regardless of that choice, Khanna should be an influential player in whatever happens in the upcoming Iowa Caucus. “Do we want America to go into the future or be stuck in the past?” Khanna said was the fundamental difference between Democrats and Republicans in 2018. Khanna tied much of his speech and vision back to the technological and business innovation that thrives in his district, explaining how progressive policy ideas can further new job creation and keep it sustainable. He didn’t have any Iowa relatives to rattle off like Montana Governor Steve Bullock did earlier in the day, but he did note how many tech leaders came from Iowa. That included Bob Noyce of Intel (born in Burlington) and Marc Andreesen of Netscape (born in Cedar Falls). He suggested a different approach. 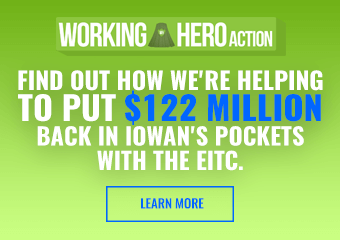 One of his suggestions was that instead of the $1.2 trillion tax cut, the government could have instead vastly expanded the earned income tax credit. Had they put the same amount of money into that, Khanna predicted that a family making $80,000 a year would have gotten an $8,000 raise. His other focus was on healthcare, where he supports a Medicare-for-all system. “Ask Silicon Valley companies why they’re outsourcing jobs, they say healthcare costs,” he said. Khanna also mentioned that when he was interviewed on Fox News recently, he was pressed on how Medicare-for-all would cost $32 billion. “You know what line they don’t have after that? The current system costs $49 billion,” Khanna said. The overarching message that Democrats can succeed with, Khanna believed, was one based on new jobs that can be created where people live already. And while he acknowledged that many Americans have soured on the promise of the country in recent years due to political chaos and economic stagnation, that he himself was still hopeful. After his speech, he took a couple questions from the crowd. One was related to the Universal Basic Income idea and whether he’d support that. Khanna said he doesn’t, explaining that he prefers to focus economic assistance to people through the Earned Income Tax Credit and Social Security benefits for people with disabilities. 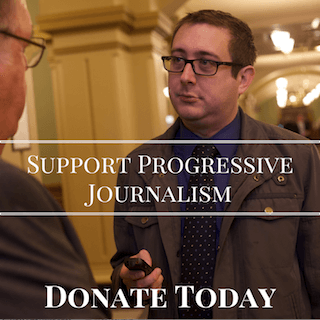 Khanna also headlined a fundraiser with Linn County Supervisor Stacey Walker and state senate candidate Zach Wahls in Des Moines and an event for secretary of state candidate Deidre DeJear in Newton. He gave the Iowa Democratic Party a hand with their Back To Blue event in Creston on Sunday afternoon.